Traditional metal pull by Richelieu. Classic finish featuring a stylish oval motif handle, the perfect addition to any type of design. This contemporary streamlined handle by Richelieu will add a touch of elegance to your kitchen or bathroom dicor. Designed to fit a classic style, this Richelieu handle features rounded corners and a white ceramic oval detail. Looks beautiful in any room! Traditional Metal Pull 5 1/32 in (128 mm) CtoC - Brushed Oil-Rubbed Bronze - Madeleine Collection Traditional metal pull by Richelieu. Classic finish featuring a stylish oval motif handle, the perfect addition to any type of design. 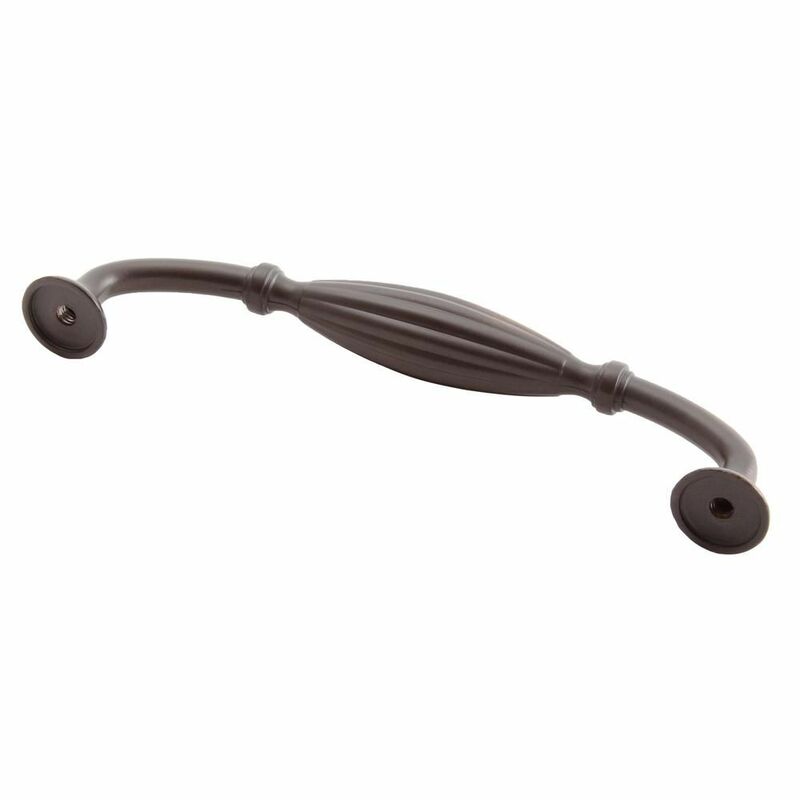 Traditional Metal Pull 5 1/32 in (128 mm) CtoC - Brushed Oil-Rubbed Bronze - Madeleine Collection is rated 4.3 out of 5 by 4. Rated 5 out of 5 by toolman from I bought these to replace my broken pulls on my chest of drawers. These look even better than the... I bought these to replace my broken pulls on my chest of drawers. These look even better than the original pulls and are a better quality. Rated 3 out of 5 by CabinetGirl from The product is nice. They were easy to assemble. The subtle design is elegant and looks great on my white cabinets. It's the accessories that change everything.